Fresh herbs can make plenty of dishes and cocktails taste better! While you can certainly buy them at the grocery store, growing them is the freshest way to go. 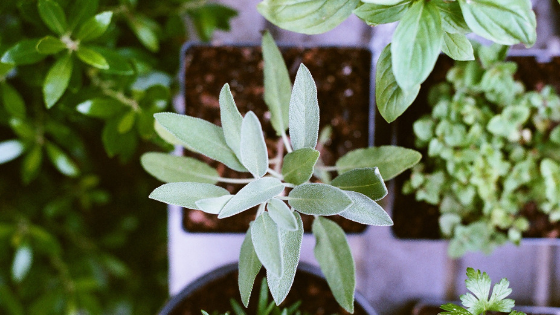 Fortunately, growing an indoor herb garden in our Sherman Oaks, CA, apartments may be easier than you think. These and more are a great starting point for herbs. Once you've got these under your belt, trying other more difficult-to-keep plants will be your natural step! This is vital because roots that sit in water will rot. On the other hand, you don't want to let the water run rampant out of your pots, either. For best results, opt for clay pots that are designed to enable drainage. Be sure to use a saucer, liner or drain pan under the pots to capture excess water. Suction-cup window shelves or stand-alone shelving provides the perfect perch for houseplants, particularly those of the herbal variety. If you're feeling crafty, consider putting a DIY shelving system on your to-do list. Repurposing everyday items such as ladders and old wine crates can provide you with a really satisfying final product! Fertilizers made from seaweed extracts or fish emulsion contain higher concentrations of nitrogen than other options, which helps promote healthy growth. More rapid growth will require more food! Our Chase Knolls Garden Apartments afford our residents huge windows and loads of sunshine. Stop by to schedule a tour today!